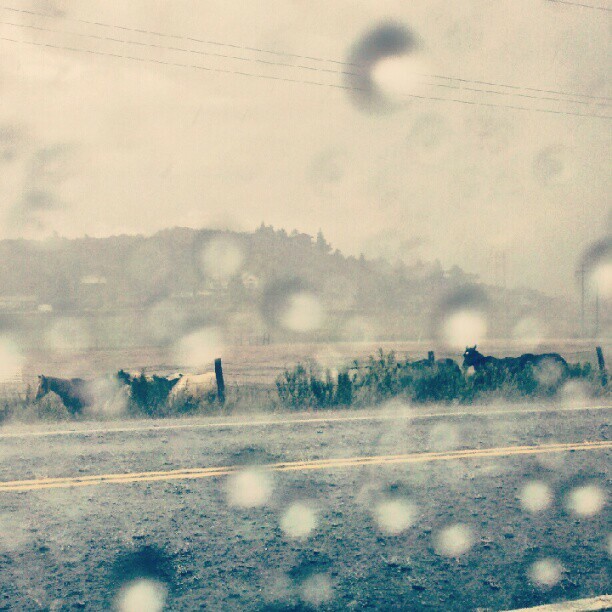 Horses huddling together in a deluge of rain and hail. Someday, I will have the energy to use my “real” camera again. Instagram will have to do for now. We’ve been in this house for a little over a month, but very few—if any—of those days have felt normal. In my last little house, there were many times where normal felt too quiet, too ordered. All of the pictures were hung, but I rehung them anyway. I moved the couch. I moved it back. I passed through the rooms, looking for something to change to make life seem less still. Life now is anything but still. It’s unsettling, of course, in the most literal sense; my things, which once were so meticulously curated, are scattered here and there, crushed into boxes and piled into corners. It’s hard to remember now that stillness used to feel as unsettling as this unsettledness. Things are falling into place—they always do. There is so much to be grateful for in this shifting life.